Mixed news for BlackBerry 10 | BlackBerry Blast! BlackBerry got some good news today when a Canadian retailer said that BlackBerry 10 phones are outselling the iPhone and Galaxy phones in Canada. Glentel Inc., said the new Z10 model was “the leading smartphone” sold at 330 Canadian Wirelesswave and Wave sans Fils retail stores. This is obviously good news for BlackBerry. 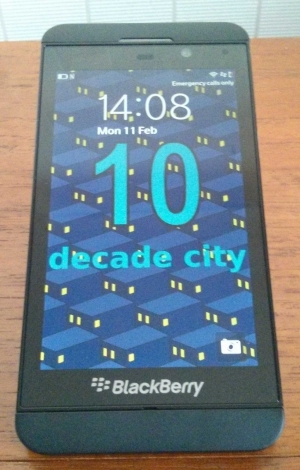 On the flip side, a note from MKM Partners suggested ther is a 90% chance that BlackBerry 10 will flop. The analyst doesn't think that BlackBerry is differentiating itself from other smartphones already on the market. Speculation will continue until we see an upswing in BlackBerry sales. With supply chain issues BlackBerry definitely has its work cut out for it. The real test will begin as soon as BlackBerry 10 hits the US.